Hi guys! Phew I feel like it’s been a hundred years since I last sat down and actually had the time to update anything on the blog. But here I am now! We’ve had a few busy weeks as my boyfriend was on holiday and we even got to have my little sister from Finland stay at our place for a whole week. We drank a lot of wine, ate too many pains au chocolat and watched a bunch of movies so all in all, I’d say it was a very successful week! 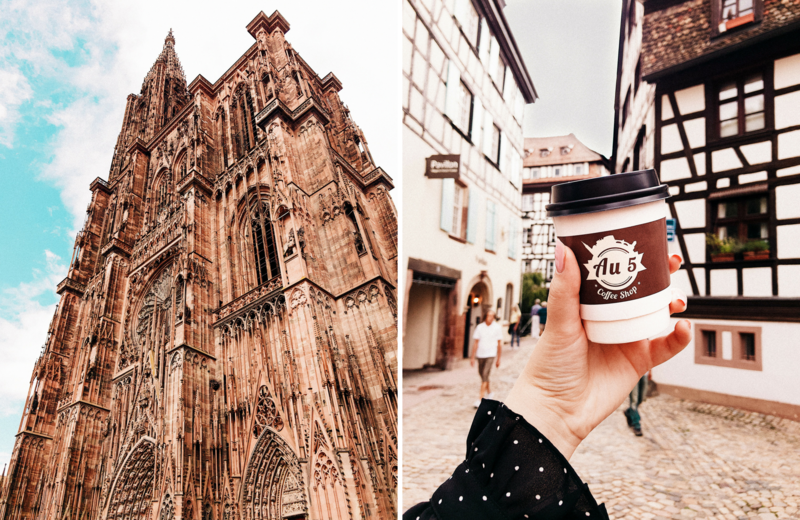 Before our overnight trip to Strasbourg we visited the small city of Riquewihr which is located on the wine route in Alsace. The day was a little cloudy so I didn’t get many nice pics but the main street is very picturesque and full of these little wooden houses that are really typical for Alsace and Germany. 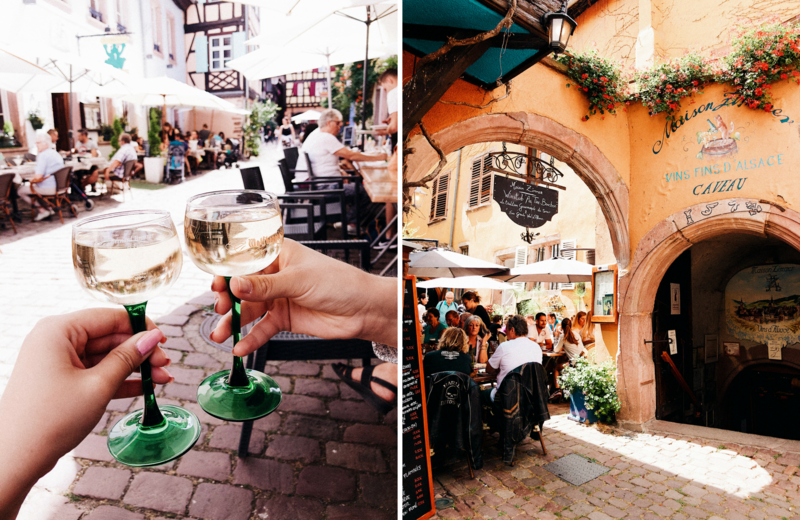 And in Riquewihr, there are A LOT of all things wine (which makes sense as the city is literally in the middle of vines…). You can find everything from wine tastings to wine shops to cheap boxes of wine, so yeah, I definitely wish we would’ve had more time to spend than just an afternoon but at least we now know that it’s a city definitely worth re-visiting! And then, well then we went to Strasbourg! 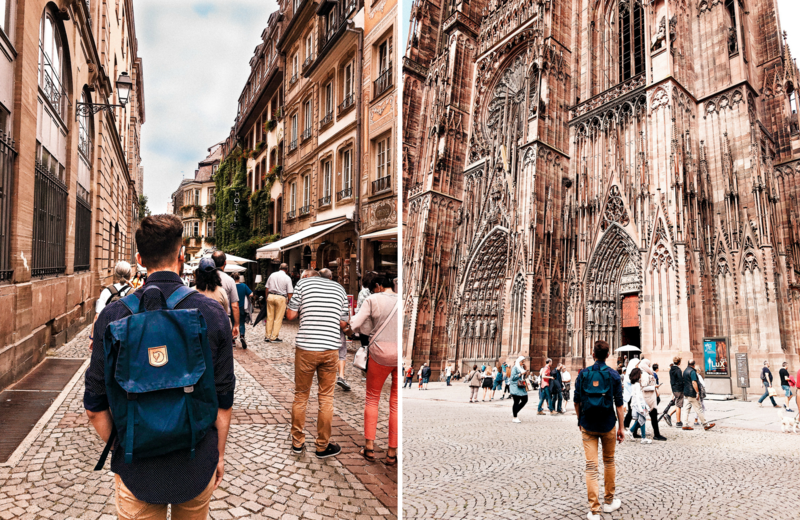 I don’t know what it is about the city but I’m absolutely obsessed with it and I already thought about taking up German classes at the uni (as if French wasn’t already enough of a challenge hahaha) and moving to Strasbourg! But we’ll see about that… Well anyway, we mostly spent our time strolling aimlessly around the city, admiring the cathedral and sitting on different patios drinking… need I say it, wine. And I mean isn’t the cathedral just SO IMPRESSIVE? It amazes me every time how something so massive has ever been built and how it’s still standing. 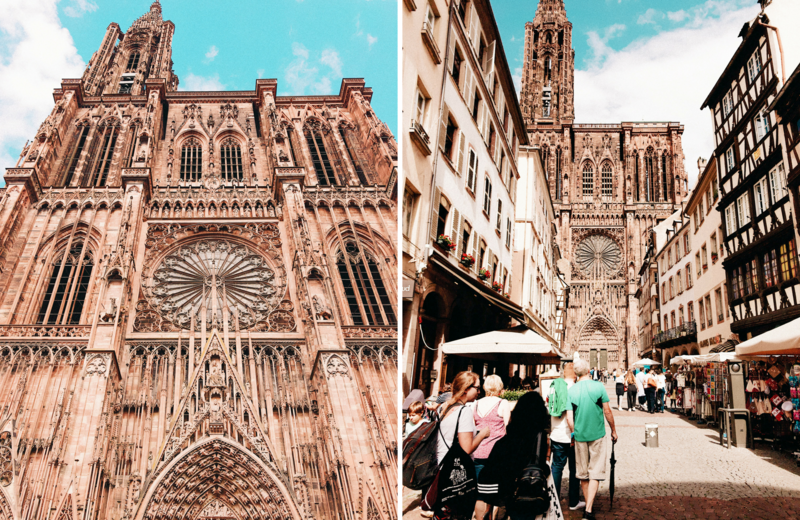 Also we were quite lucky as we went to Strasbourg on a Monday so the city wasn’t too crowded and even the weather wasn’t too hot so we really got all the best things out of a little city vacation. 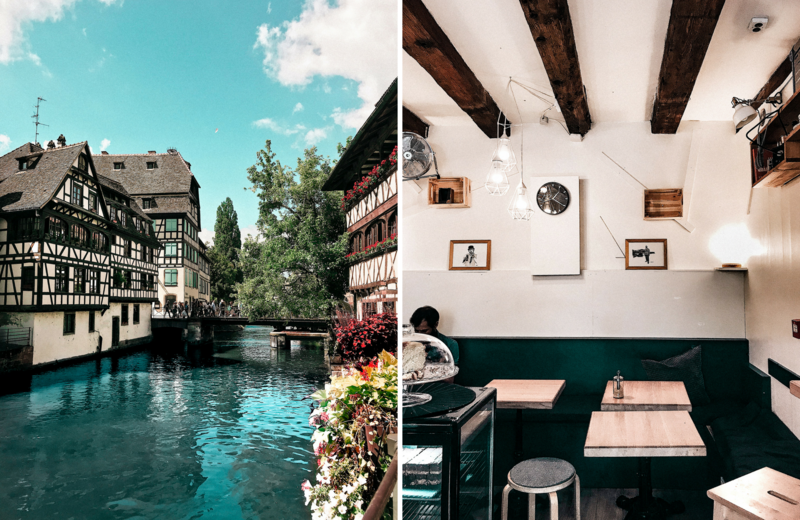 We also found this super cute coffee place, Café Bretelles, in the Petite France block (the pic on the right), and in my opinion having a gem like this in the otherwise extremely touristy area was like a breathe of fresh air! And the picture on the left is actually from Petite France, which is a small island in the city center full of old houses like these – charming and crowd-free as can be! I have a few posts in the making at the moment so you’ll be hearing from me again soon! 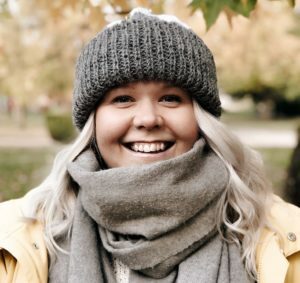 I’ve also been getting my autumn-mood on with a lot of tea, John Mayer and knitting, and I have at least two beanie patterns in mind so keep your eyes pealed for them too!